Last Thursday (June, 26) was possibly the best day of the year to date. I was planning big – but I bombed out near Lienz already at 10.30h in the morning. More than ten hours before sunset. Maximum penalty! Once again, I was awfully disappointed. After a short autostopp and two and a half hours of hiking, the middle station of the Kalser mountain railway lay directly on the way up. Because I wanted to fly and not to walk, I did not let me beg for long, jumped into one of the passing gondolas and got ready for take-off while riding up the cable car. Arriving at the Adler Lounge, a pretty posh mountain resort at the top of the cable car, I felt a gusty wind from northwest to northeast. The clouds also showed a lot of wind in the altitude. If, however, the wind allowed to reach cloud-base, I could use the west component well for a jump over the main crest. Flying from the south side of the Alps to the northside would not be the worst option… And it would take me a little way home. After a short look for a suitable take-off, I was finally airborn at two o´clock in the afternoon. The cooling did very well. 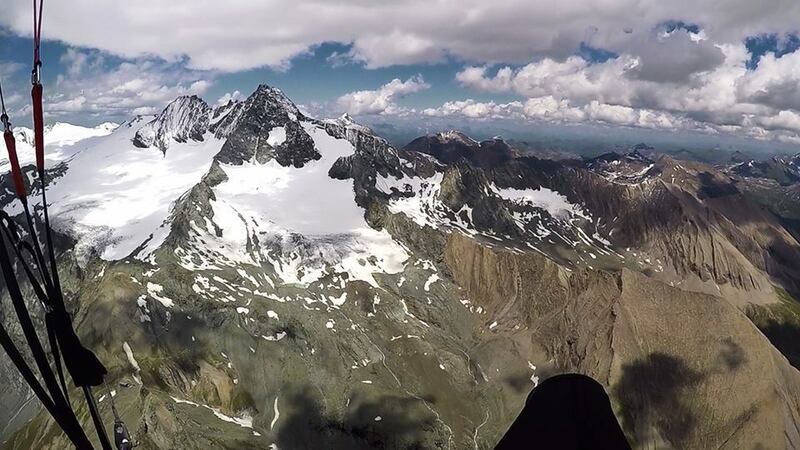 With increasing altitude, thermals were quite disrupted, but the climb to the base was possible. Additionally, the wind was turning southwest. Perfect! With almost 4,100 meters and partly 30+ km/h tailwind, the route to the North was very easy. I would have liked to stay longer at this magic place, but not today. And so the many impressions around Großglockner, Pasterze (glacier at Großglockner) and the main crest were left behind far too quickly. Over the Großglockner Hochalpenstraße I could already see and feel Zell am See, Steinernes Meer and the Hochkönig. But the clouds indicated clearly what to expect: more torn into pieces, windier. 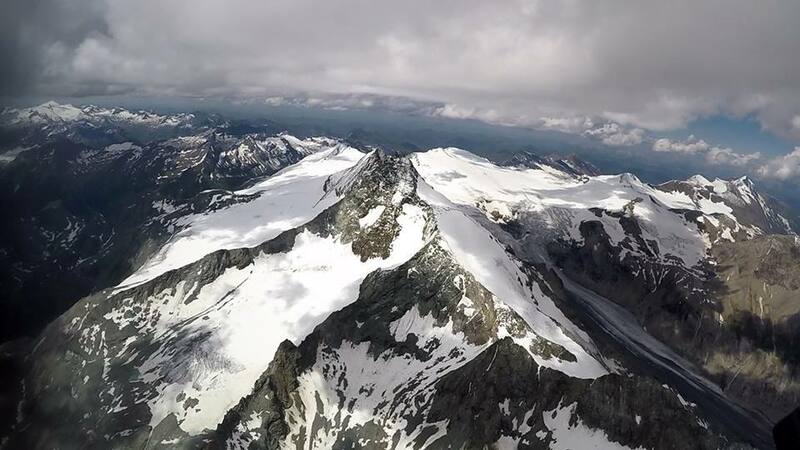 When I flew the Ferleiten Valley northwards, it still went on rapidly, although with considerably more turbulences than on the south side. After crossing the wider valley of Pinzgau, I had, as expected, to fight the strong northwest wind. Thanks to the labile layering and many small thermal bubbles, I nevertheless slowly advanced. Flying home to Bad Reichenhall (near Salzburg) was hardly within reach because of the wind. 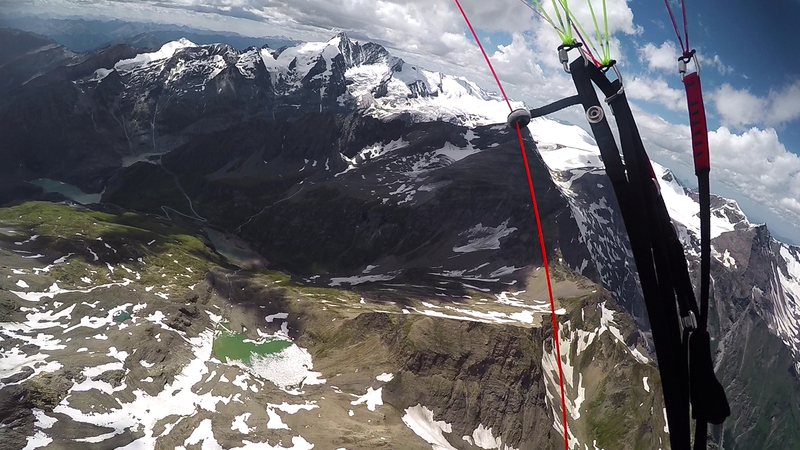 After some thrill at Hundstein and Schwalbenwand, it became unflyable to me at the Steinernes Meer. I capitulated and landed in Maria Alm at about 5 o´clock. My Bunnystopper (http://www.shuttle-bunny.net) helped me to a quick journey home again: two stops, short meeting with pilot-friend Alex at Saalfelden and at half past seven i arrived back home. With a tearful and a smiling eye: I am too much of a pilot and love long XC flights too much, not to look back a bit wistfully for the missed opportunity. However, I’ve been given a wild and beautiful afternoon. 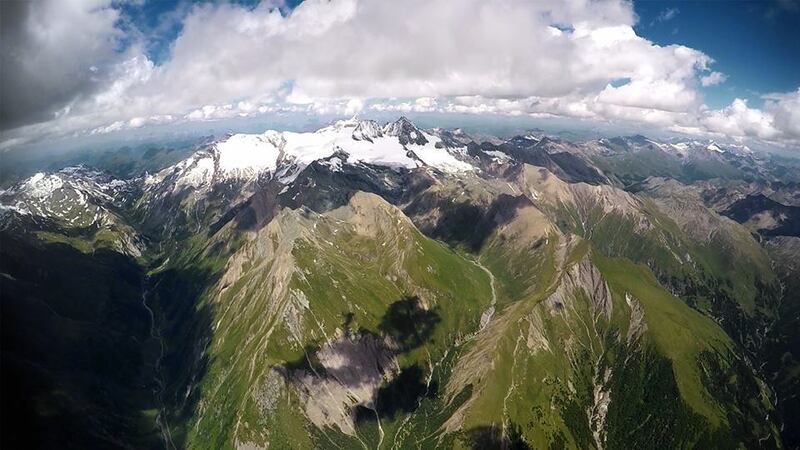 And like last year, I could fly over Großglockner, Alpenhauptkamm and numerous other beauties towards home. Even if it seemed like it in the beginning: IT WAS NOT A LOST DAY! Also not for many others who made some stunning flights. Chapeau Lex, Sebastian, Marcel, Tim, Didi, …!